For more than two decades, BioBag has been the expert and prominent supplier to the waste management industry. Our products cover a variety of different uses for waste management initiatives. Our compostable bags and sacks help combat the problem of sending organics to landfills. Using our bags and sacks to collect and compost organic waste, helps complete the natural cycle by returning much needed nutrients back to the environment. BioBag offers easy and hygienic solutions for households and commercial kitchens. Our breathable bags, sacks, and food waste containers, come in a wide variety of designs and sizes to fit any kitchen needs. 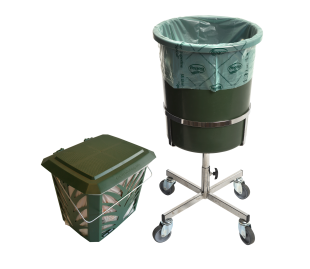 BioBag’s specially developed MaxAir caddy with ventilated sides and lid, allow the moisture to evaporate and the waste to dry out. This means that the waste does not rot, and unpleasant odours are reduced. 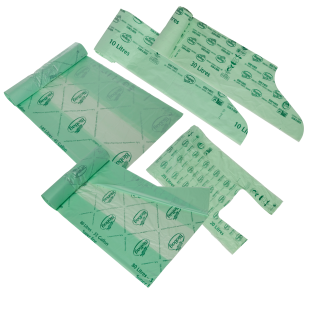 BioBags have a very high penetration barrier against bacteria, viruses, spores, and mould. The combination of the MaxAir ventilated caddy lined with a BioBag is the world’s leading system for presorting of food waste. BioBags also ensure better hygienic conditions for waste collectors and composting facilities. By using fully compostable sacks to line waste containers, you ensure better hygiene and reduce the need for cleaning the containers. See more information about Waste Management here.